Tag Heuer is most known for its impressive watch collection, but never has it been respected for releasing a few handsets costing thousands of dollars. 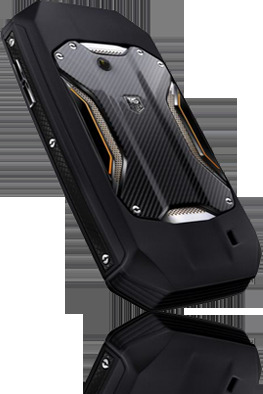 Tag Heuer's latest smartphone is said to be the first luxury phone designed for "high performance" and was inspired by Formula 1 and GT cars. It's Swiss engineered for ultimate lightness and strength using a shockproof rubber enclosure that is supported and strengthened by the screwed-in titanium and carbon fiber bridges. The Racer phone will run the latest Android OS with a "high speed processor" and will be heavily skinned with a customizable 3D user interface. Tag Heuer isn't saying more than that for now. The video down below suggests that the Racer phone will sport a large touch screen, front and back facing cameras. The new TAG Heuer Racer collection starts at €2,800 ($3,680), and will be available in TAG Heuer boutiques, luxury mobile boutiques and selected watch and jewelry retailers in July.